Reassurance shield after the 143 interchange. 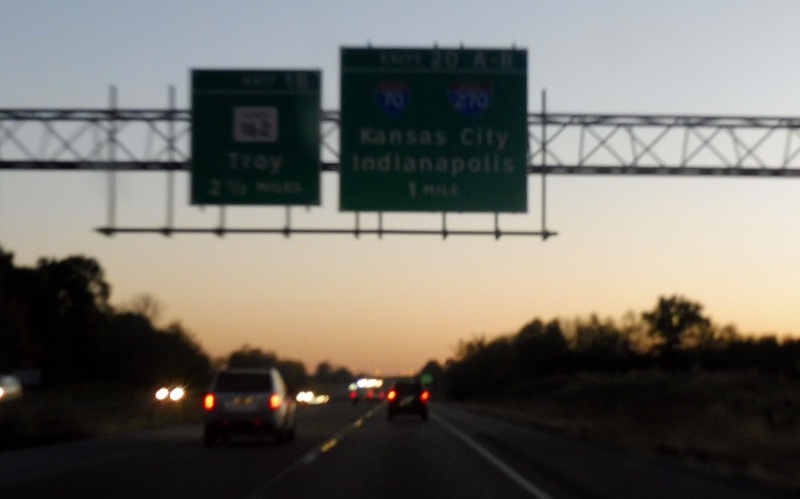 In two miles we’ll approach Interstates 70 and 270. 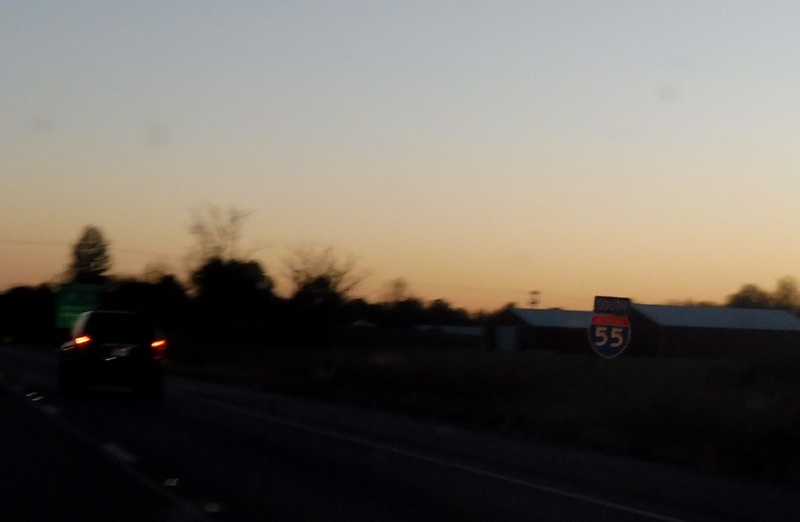 After the I-70/270 interchange we’ll approach Illinois 162. 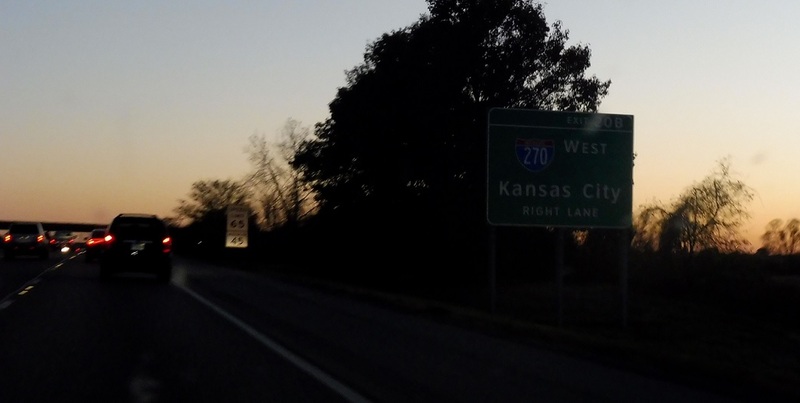 Exit ahead for I-270 west towards Kansas City, Mo. 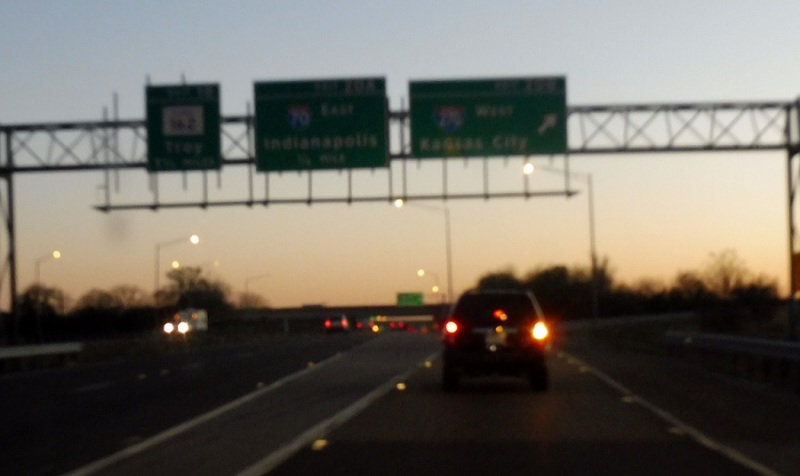 Exit for I-270 west. 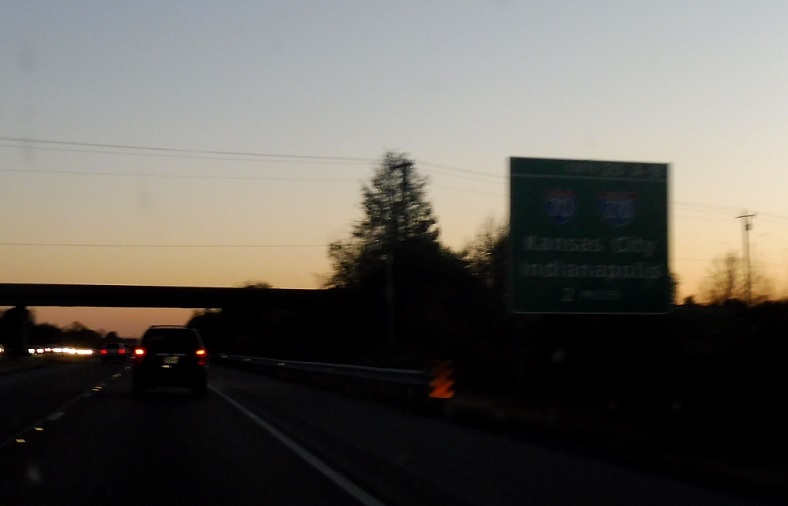 Exit ahead for I-70 east towards Indianapolis, Ind. I-70 west joins I-55 south into St. Louis.